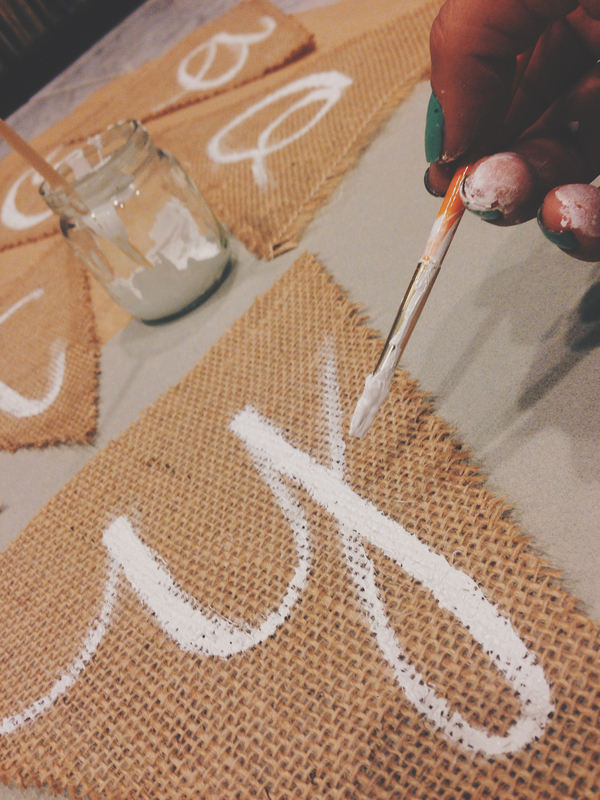 This week I worked on a burlap banner for our friend's Bridal Shower. 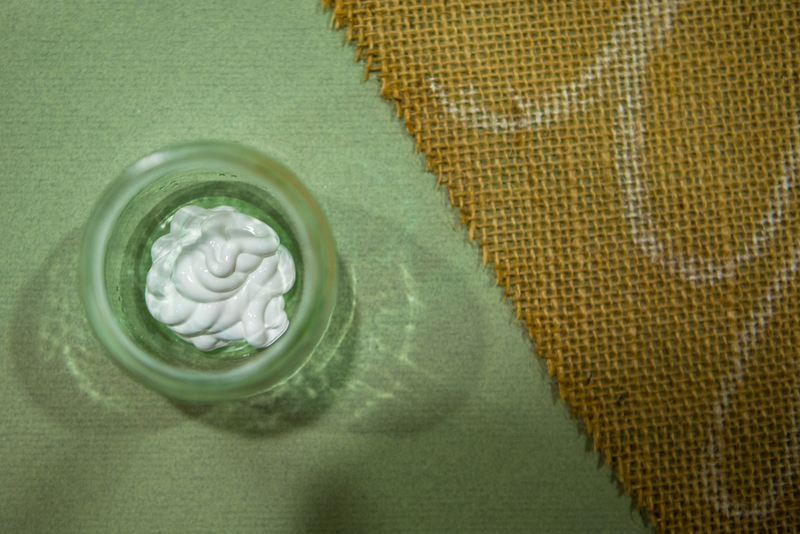 It was pretty easy to make and it came out so great so I thought I'd share a How-To! Cut out a paper sample triangle to cut all your triangles against to make sure they all cut the same size. Lay out the burlap and cut same size triangles using the scissor or rotary cutter – 1 for every letter of your banner. If your burlap is wrinkled, iron each piece for a few seconds. Glue the edges of the burlap triangles with the matte modge pode to seal the edges from fraying. Let dry. Sketch out the letters for the banner with a piece of chalk or paint them directly onto the triangles. Let dry. Lay out the triangles equally spaced and use a hot glue gun to attach the triangles to the jute/string. Remember to add slack on each side to have enough to hang it up. 2 yards of burlap was a lot. I suggest getting less burlap if your sign isn't super long. I really liked using the rotary cutter much better than using scissors.